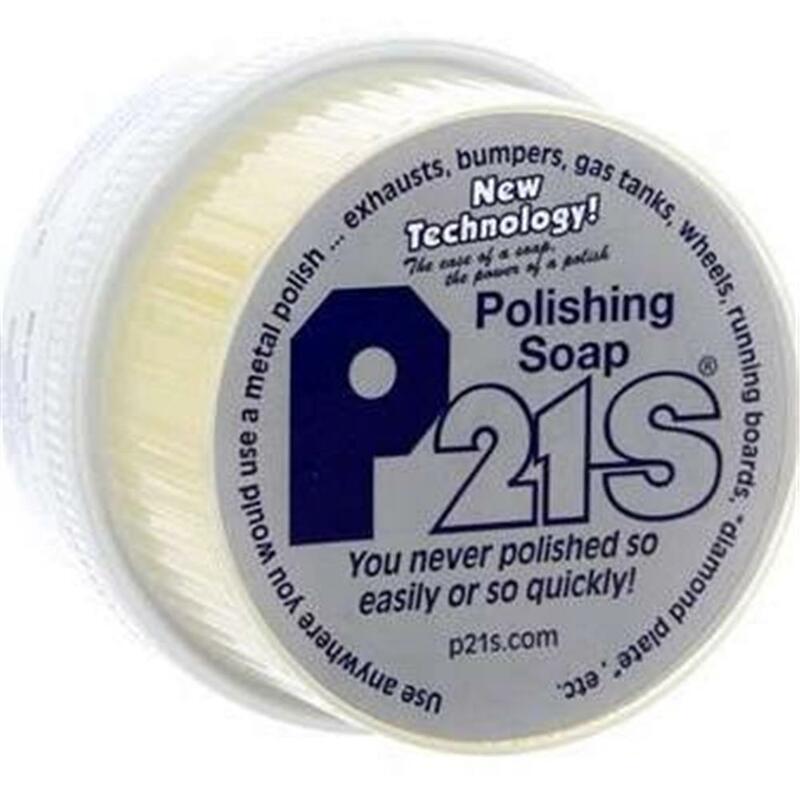 P21S Metal Polishing Soap 15300P 10.6 oz Jar - Exhaust, Bumper, Gas Tank, Wheel Cleaner Polish - California Car Cover Co.
With traditional wheel cleanings you have to remove contamination and then polish. 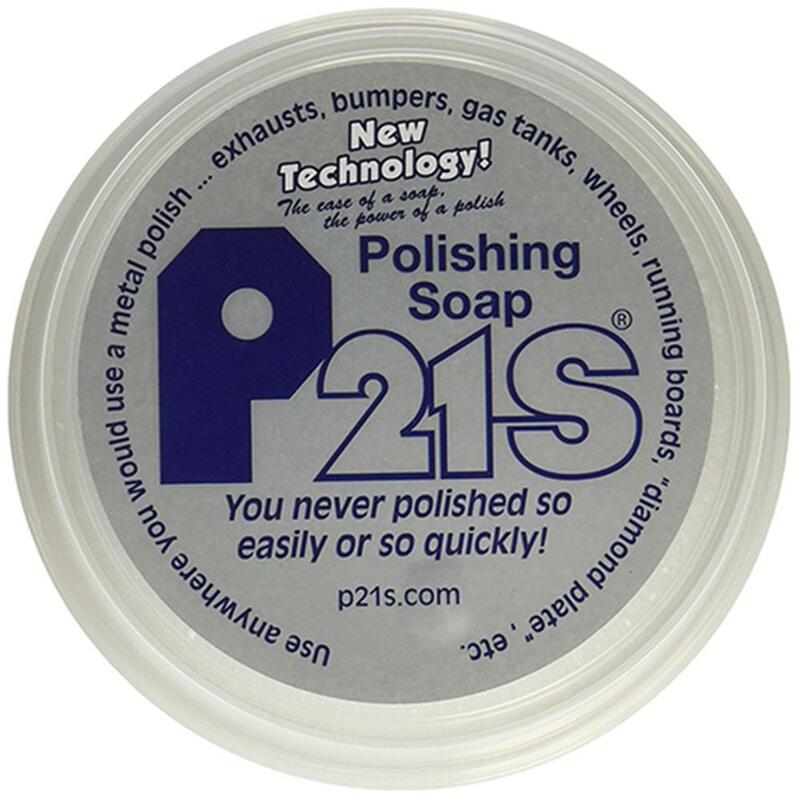 The P21S Metal Polishing Soap allows you to clean and polish in one quick and easy step. This formula was specially designed to release deeply embedded contaminates like brake dust, fresh tar, road grime, oxidation and more. While cleaning the surface it is also polishing the wheel so it gives off the maximum shine. This soap comes with a sponge so all you have to do is get the sponge wet, wipe it across the soap and you'll instantly have a rich lather to easily clean and polish the wheels with. Few products if any can give you such an amazing combination of cleaning and polishing power. 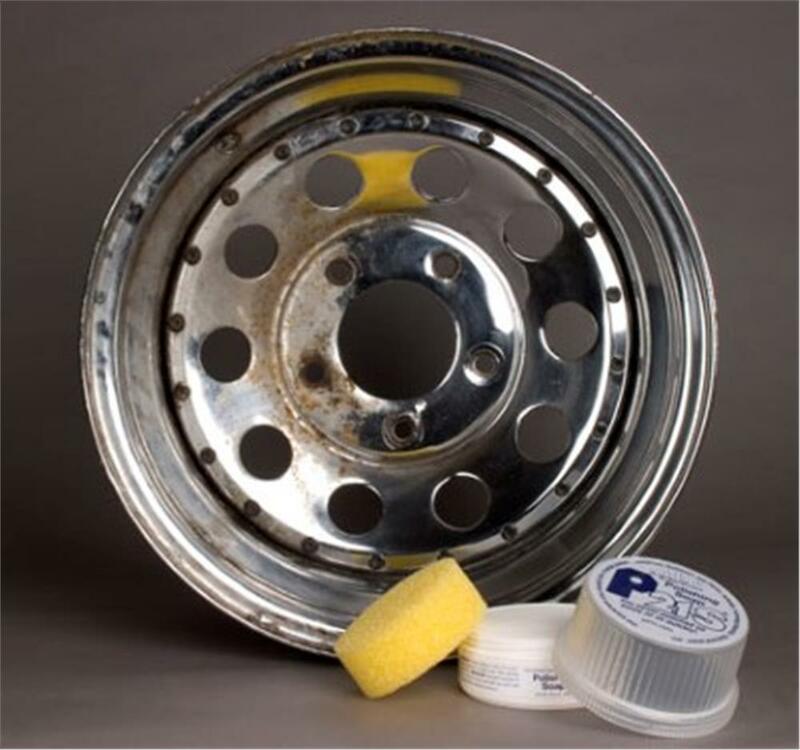 Give your wheels the cleaning they need and the shine you want in one easy step with the P21S Metal Polishing Soap. Measures 10.6 ounces (300 grams).